Republican leaders in Congress have said in a letter to the FCC, that they want the public to see new regulations for Internet Service Providers (ISPs), including new net neutrality regulations, before they become law. The chairman of the Federal Communications Committee (FCC), Tom Wheeler, wants to introduce so-called ‘net neutrality’ or regulation of broadband companies in the same way that utilities are regulated, to stop them from blocking or slowing websites and stopping some companies offering their content faster to customers who pay more. Obama has said he backs such a move, which is also supported by Democrats and some Internet companies like Amazon.com. But most Republicans oppose the proposal and say that government meddling would snuff out investment in the industry. “Given the significance of the matter and the strong public participation in the commission’s proceeding to date, we believe the public and industry stakeholders alike should have the opportunity to review the text of any proposed order or rules prior to commission action,” Senate committee Chairman John Thune (R-S.D. ), House Chairman Fred Upton (R-Mich.) and Rep. Greg Walden (R-Ore.) — the head of the House Communications subcommittee — said in a letter to FCC Chairman Tom Wheeler on Thursday. Although the FCC hasn’t released the details of its regulations prior to when its commissioners vote on them in the past, its chairman does have the power to do so ahead of the vote, lawmakers have pointed out. There have been almost 4 million public comments on the FCC’s new rules for the Web, a record. But the proposed new regulations have a lot of opponents, not just Republican senators. Michael O’Reiley, Federal Communications Commissioner, said at the American Enterprise Institute (AEI) Wednesday that Obama’s proposals to regulate the Web are bad for the economy and contrary to the law. “The foundation of the U.S. economy is for private companies to offer products and services -- not government-sponsored companies. Whether federal regulation would be of value is something I have to step back from a bit. 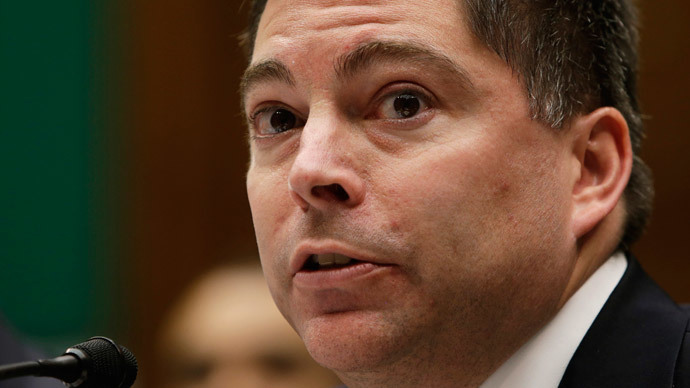 The question is whether I at the FCC have the authority to overturn… law,” O’Rielly said. President Obama wants the FCC to move towards greater regulation of the internet and overturn laws in 19 states that stop municipal governments from opening their own Internet services. Obama said in his State of the Union address Tuesday that he believes that greater regulation will lead to better internet access for all US citizens. “I intend to protect a free and open internet, extend its reach to every classroom, and every community, and help folks build the fastest networks,” he said. “Today, high-speed broadband is not a luxury. It's a necessity,” the President said last week at an address in Iowa. Obama also says that the current state laws that affect how municipalities start their own internet services make it hard for communities to provide their own broadband. Another important issue Obama has said he wants to push through is ‘net neutrality’. But in order for the FCC to make net neutrality law it would have to classify the Internet as a utility, in the same category as telephones, TV and radio, which would allow the FCC to dictate terms independent of Congress.